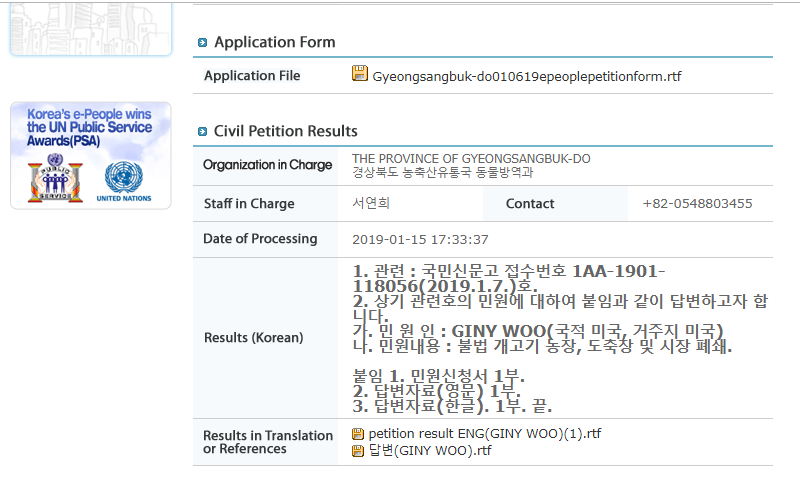 Below is Gyeongsangbuk-do Province’s response to our petition: Gyeongsangbuk-do Province, South Korea, Shut down the illegal dog meat farms, slaughterhouses and markets. 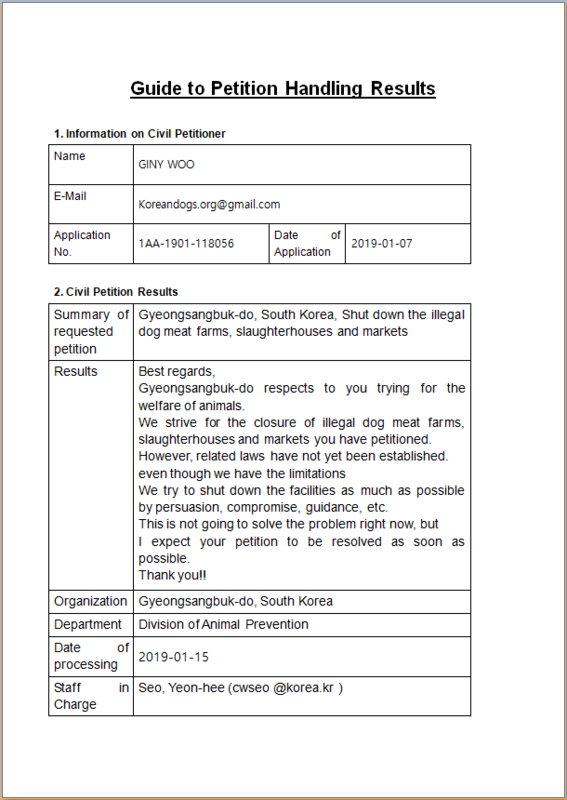 I’m disgusted with the Korean leaders lack of effort in enforcing the shutdown of the vile dog and cat meat farms. I have been signing these petitions for a long time now and nothing changes. It sickens me that people can torture and viciously kill animals like this, and actually seem to enjoy the process…may the same fate be felt by them. I really wish for an awakening to the cruelty they are creating and hitherto a shutdown of all the farms.